Marichyasana D. Bhujapidasana. Supta Kurmasana. These are some of the poses I have yet to achieve in my 3-year on-again-off-again relationship with the Ashtanga Primary Series. These are postures with intense binds that not only require flexibility to attain, but strength to maintain the bind as well. I practice yoga not because I have asana goals. I’ve learned long ago to let go of the postures that require me to force myself into a pretzel. But practicing Ashtanga has given me an entirely different perspective on #AsanaGoals. It’s less about the physical capability of the body than the mental resolution to finish what I’ve started, no matter how long it takes. I am currently enjoying my Mysore practice with Laruga Glaser here in Manila. Every morning, we are given 3 hours to practice together as a group. Each person is on a different place in his/her practice, so each one is performing different asanas, different sets of postures at their own pace. If you look at the room as an outsider, it would look like an organized chaos. Some would be doing seemingly super human stretches in the Intermediate Series, while others are still being cued into their first few standing postures. But one thing we have in common is an intention to look deeper than what our bodies currently offer. There are times when practicing Ashtanga feels like a punishment. But after the motions of going through it, I am resolved with the fact that it’s a great mind-and-body workout. It is indeed a good gauge on how the body has progressed through the years. And although my body no longer shivers in Parivritta Trikonasana the way it did three years back, I am still miles away from completing my journey in Primary Series. I have come to terms with the fact that it may take a while, maybe even a lifetime. And that’s okay. How could something so pretty be so underrated? 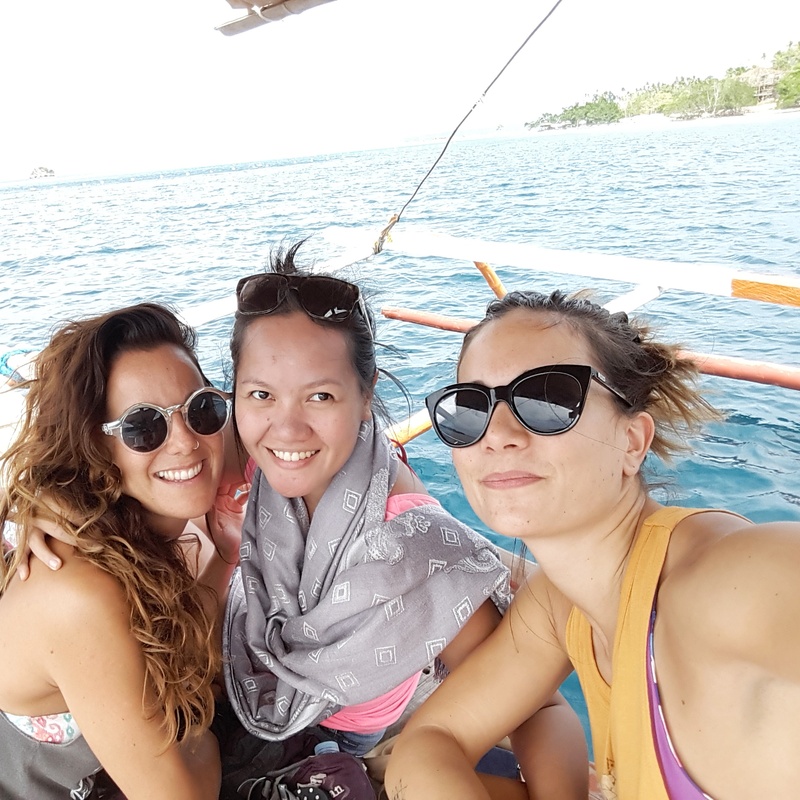 If you find yourself wandering through Davao and its neighboring towns, the Taclobo Tours by ADECOR of Samal Island is something you shouldn’t miss. You will see clams as big as your torso. The aquatic life is so healthy and diverse, it’s such a gift to see. I actually can’t remember the exact place to go to reach the giant clam sanctuary. Ooops. But the resident tricycle drivers are experts and you can just ask them to take you there. It’s a rough and long ride from Brgy. Peñaplata, and we’ve had issues with our boat, but the struggle was so well worth it. 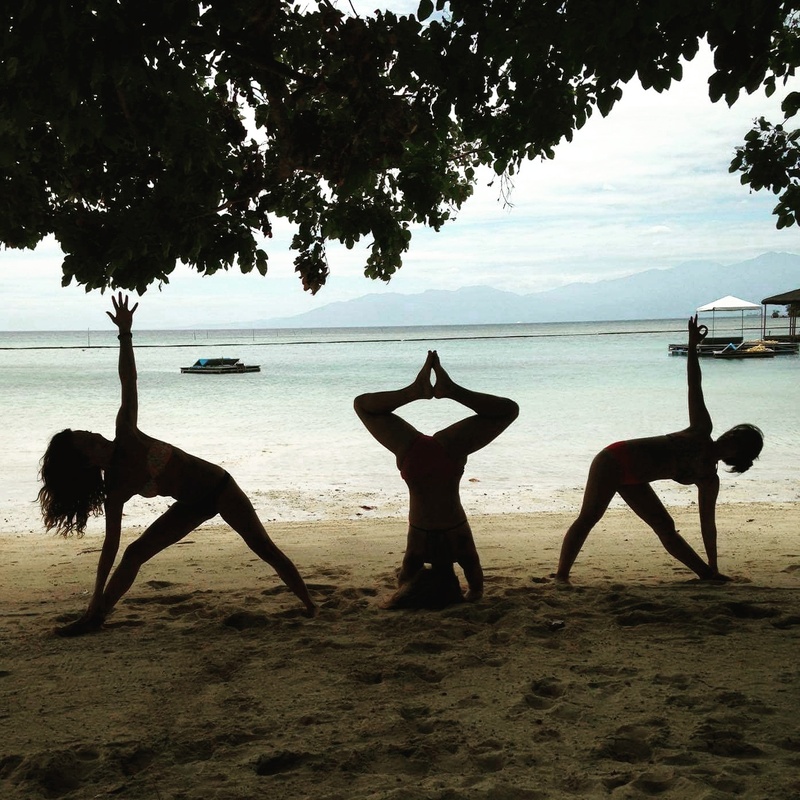 Near the giant clam sanctuary is Uraya Beach, where we spent a few hours on the sand, playing with some asanas. My companions were Lydie and Mercedes, guest teachers of Bodhi Yoga Center Gensan in February 2016. On our way back to the city, we made a quick stop to Hagimit Falls. It would have been a lovely sight if it weren’t for the overcrowding.